Yoga is good for you and that’s a fact. There are reams of research on it these days that have revealed the amazing range of health benefits and why is yoga so good. I don’t practice yoga daily because of the health benefits. I practice because I know that I am guaranteed to feel amazing afterwards. Part of what I really value in my yoga practice is a feeling of personal freedom and spaciousness. After practicing, I feel a spaciousness in my joints, my cells somehow seem larger, bursting with energy and more vibrant. There seems to be space in-between the vertebrae where the bones used to be crunched up and hunched over. My body feels free to move, to take up space, to breathe deeply. And that very visceral, physical feeling of freedom changes how I think. I feel free! Things that were worrying me, somehow seem to slip away – I’m able to get into the ‘zone’, in which I feel less anxious about big decisions and am just more focused and make better decisions. It makes me more focused, think clearer and yes, my yoga practice certainly does make me a happier, more focused, person. Physical movement of any kind makes us feel great, and on one level, yoga is just a very effective way of making the body move in every different direction, strengthening and lengthening all at once. And for me, the joy of moving is one thing, but when combined with very deep, conscious breathing? That is a complete game-changer! Yoga is so much more than a work-out or a stretch class, it’s a work-in challenging the mind and body in ways that no other ‘fitness’ regime can touch. But what does the science say? Why is yoga so good. Just in case you need more science than my personal recommendation and your personal experience – here is a brief synopsis of the results of some studies into yoga. Several studies have highlighted the effects of yoga on mood. In 2005, German researchers asked a group of ‘emotionally distressed’ women to undertake three hours of yoga a week for three months. 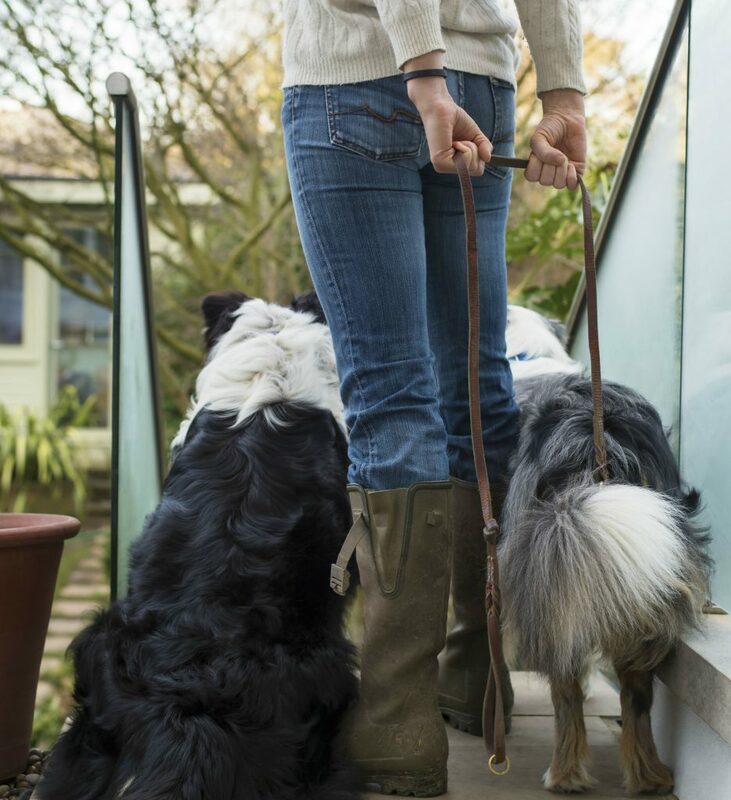 Researchers saw a 50% improvement in depression, 30% in anxiety and 65% improvement in overall wellbeing. The therapeutic effects of yoga have also been proven with psychiatric patients, sufferers of post-traumatic stress disorder, and women experiencing the menopause or postmenopausal symptoms. Emotional well-being is, of course, of utmost importance to our physical and mental health. In this study, measures of positive and negative affect, mindfulness, perceived stress, and arousal states were taken in 24 people with an existing weekly yoga practice. Some of whom maintained their weekly practice whilst others started a five-times-per-week practice across a fortnight. The morning daily practice group (five times weekly) showed significant beneficial changes in each of the measures, including an increased ability to cope with stress. These findings highlight the benefits of a daily yoga practice and perhaps might prompt us to roll out our mats a little more regularly. It’s a fact – yoga helps relieve chronic insomnia. Even if you don’t really have a sleep ‘problem’, the deep breathing, physical exercise and mindfulness associated with a yoga practice help calm the nervous system and improve your zzzzs. A 2014 study published in the Journal of Clinical Oncology found that breast-cancer survivors who practiced yoga showed a 10–15% reduction in inflammation markers compared to those who didn’t, helping them feel less fatigued and more energised. It’s no coincidence that yogis seem to be society’s most zenned- out citizens. Lots of reviews have made a link between yoga and the modulation of stress response systems, including raised heart rate, high blood pressure and shallow breathing. Everything about yoga, from the slow, steady breathing to the inversions, can help lower the amount of cortisol in your brain. Cortisol is the hormone that appears when you’re stressed; activating the brain amygdala, also known as the fear centre. The pre-frontal cortex, the area which manages self-control and discipline is shrunk. Regular practice of yoga can cause cortisol levels to drop. As well as dropping cortisol levels, certain areas in the brain increase after yoga practice. One of these areas is the hippocampus, which helps us to deal with stress and anxiety. It was found that the hippocampus was considerably increased in yogis as compared to non-yogis. Yoga has been proven to be better for improving moods than simply exercising. The chemical associated with decreasing anxiety and improving moods, gamma-aminobutyric acid (GABA), increase significantly. Boston University studied 34 individuals over 12-weeks, half of which spent one hour three times a week walking, while the other did yoga for the same amount of time. The level of GABA rose in the yogis by 27 percent. The walkers’ results were much less significant. Also, dopamine and serotonin, chemicals that help us feel more relaxed and ready to handle stressful situations, rose significantly. Antidepressants and anti-anxiety drugs are used to target these exact neurotransmitters, so you’ve got a lot to gain from trying yoga. 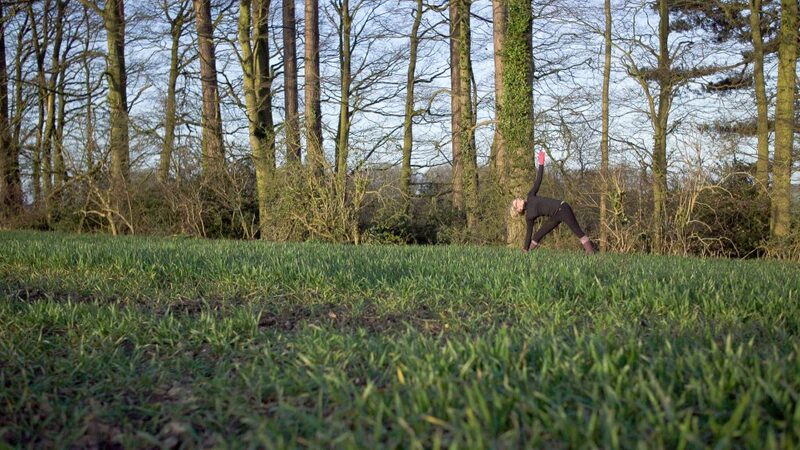 However, we love a walk in nature and don’t think that doing yoga inside is any kind of substitute for the power of nature or the great outdoors…. So why not take your yoga outside? Yoga actually helps to increase the size of certain parts of your brain, such as the superior parietal cortex, which helps you concentrate your attention on specific things! This is great news for us multi-taskers who always have a million things to do and projects on the go. Want to increase your focus and productivity in each of those million tasks? Look no further than yoga. 60 to 80% of adults suffer from back pain (yes, that shocked us too). But it probably explains why every second yogi you meet seems to have a story about how yoga helped them heal. But do others agree? They sure do! The National Institute for Clinical Excellence has specifically mentioned yoga specifically as a form of exercise to reduce back pain. It just makes sense that the back hurts with most of our sedentary lives and it needs to be moved, twisted and stretched. The inversions, too, has a lovely anti-gravity effect on the spine which results in spaciousness in the spine instead of crunching! To us, yoga is so much more than fitness. So much more. But you can’t argue with the fact that yoga improves balance, flexibility, the range of motion and strength, leading to an altogether fitter you. In a world where there are a million cancer ‘cures’ yet no cure for cancer, we need to be careful about any claims about cancer. But the Central Council of Research in Yoga and Naturopathy (CCRYN) has conducted two research projects in collaboration with Swami Vivekananda Yoga Research Foundation, Bangalore on the application of yoga in improving quality of life in cancer patients. The first was ‘integrated approach of yoga therapy in the management of cancer’. This study showed decreased distress, reduced side effects, increased natural killer cell counts and increased pain threshold. The second was ‘effect of an integrated approach of yoga therapy for metastatic breast cancer patients and study of DNA repair mechanism relevant to cancer’. The study showed a significant decrease in anxiety, depression, perceived stress, pain, insomnia and fatigue. Again, know that yoga won’t be the magical cure, but we know that those fighting cancer will feel better with some yoga. The linked article below takes a strong stance on yoga’s benefits beyond physical exercise, conducting as it does a review and comparison of studies of both exercise and yoga independently. The evidence suggests that yoga interventions appear to be equal and/or superior to exercise in most outcome measures for people with various health conditions. Emphasis on breath regulation, mindfulness during practice, and importance is given to maintenance of postures are some of the elements which are cited as differentiating yoga practices from physical exercises. Yes! Of course! The conscious movement done mindfully and combined with breathing techniques are surely the way forward. If you are as fascinated as we are on how yoga helps us to feel amazing, and you want to check out some of these studies, we lifted them from Your Brain on Yoga. Or – you could do your own research. How about this – you commit to practicing yoga every day for the next 30 days. Conduct your own scientific study! Write how you feel physically and emotionally before and after every practice and see how you feel changes over the 30 day period. And let us know, we’d love to hear your results. We love science and love an experiment, and there’s no better person to experiment on than yourself! This post was written by Movement For Modern Life’s fabulous founder, Kat Farrants. This entry was posted in Inspiration // Empowerment, Kat's Movement Mission and tagged benefits of, health, health benefits of yoga, mental health, research, wellbeing, why yoga is so good, yoga on June 10, 2016 by Edith Johnson. All of this I totally agree with and would love to do Yoga in my own home but cannot cope with comments by others. Everyone doing yoga ‘appear’ to be confident and slim surely they had to start somewhere, too embarrassing to start a class. All retreats ‘for the good’ are so expensive ! First time I have visited this site. Hi Lorraine, I’m curious about what you’ve experienced. I’m a yoga teacher just starting out and I want very much to work with people that have little to no experience with yoga. I hear all the time, “I’m not flexible enough”, or “My body type isn’t right for yoga.” My belief is that yoga can be accessible to ALL, but I find resistance. It may be they are fearful they will encounter judgement or won’t fit in. Maybe they HAVE taken classes and everyone seemed to “know the ropes” except them. I think one approach I can take is to offer a class exclusively for those new to yoga, who never thought yoga would be right for them — and start slowly. Thoughts? 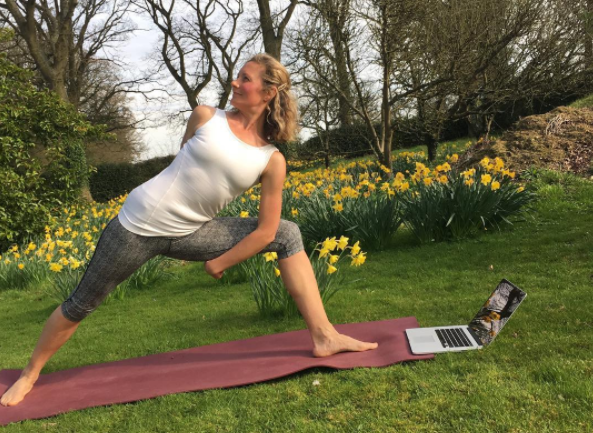 Hi Loraine and Joanne – I started teaching in January with the very aim to debunk the myth that Yoga is only for flexible, slim people. 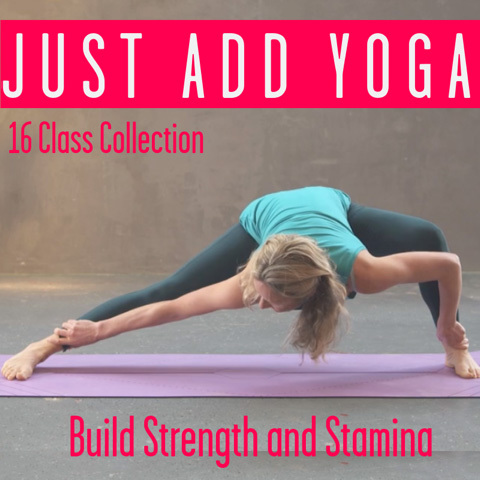 As those that teach and practice know, Yoga is for all and Yoga is not just asana, it’s breathing practices, relaxation practices and helpful ways for us to look at taking Yoga off the mat and into our daily lives. We don’t “do” Yoga – we integrate it into our life. I’d love to hear how we can keep promoting Yoga, like this article, to those who haven’t been to class before. Loraine – have you contacted some of the teachers in your local area to have a chat with them about their classes and what ones might suit you the best? I know some people have also tried 1:1 at their own home first – which is another great way to start your practice. Good luck and go well, Angela. Fantastic points altogether, you simply gained a brand new reader. What might you recommend about your put up that you made a few days in the past? Any certain? Yoga is a best exercise originated in India about 5000 years ago as well as one of the oldest fitness regime and currently practiced around the world to harmonize mind, body and soul. It is said to have jaw-dropping results on our body, both physically and mentally. Yoga challenges our flexes and enables us to improve our flexibility and enhance our senses. The Mental Benefits of Yoga may include fighting stress, depression, insomnia, mood stabilization and a number of physical diseases including obesity, arthritis and even the ones for which medical sciences fail to provide 100% cure like Thyroid, blood pressure, etc.